One of the most delicate discussions a franchisor and franchisee will have is regarding royalty reporting – especially for emerging franchise brands in rapid growth mode. It is important to maintain the trust between not just two entities, but between the people involved. 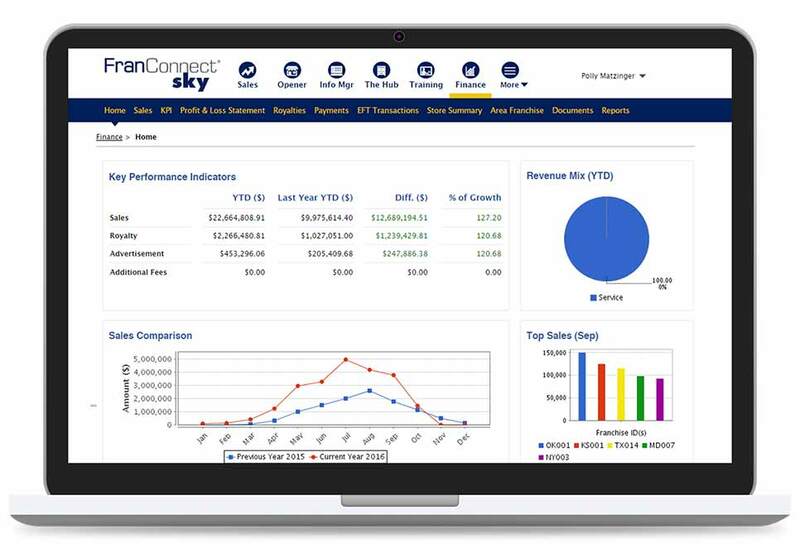 Having a system of record that tracks sales – and therefore royalties – is a critical function. 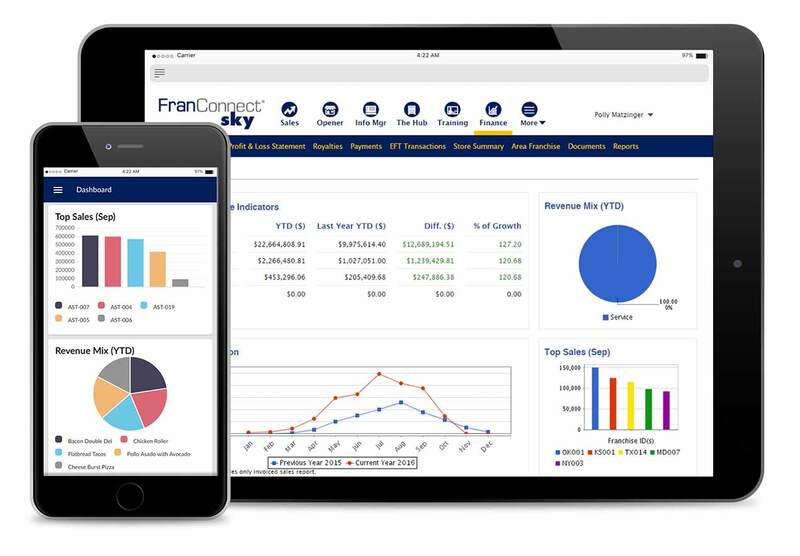 FranConnect Sky Finance is a comprehensive royalty management tool that maintains the necessary transparency between franchisor and franchisee through sales and KPI goal setting in addition to financial reporting.